What is Gianotti Crosti syndrome? Gianotti rosti Syndrome, also known as infantile papular acrodermatitis, or even papular acrodermatitis of childhood is when the skin reacts to a viral infection. This condition is closely associated with hepatitis B. However, over years of research, the characteristics of Gianotti crosti syndrome was also found to be associated with several other types of infectious agents, known as papulovesicular acrolocated syndromes. Gianotti crosti syndrome is seen to mainly affect young infants and children from the age groups of 6 months to 12 years of age. 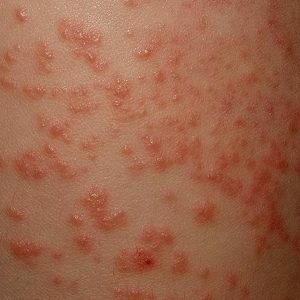 It is a kind of rash, which is the effect of hypersensitivity of the skin to a viral infection. The skin condition causes itchy, red or purple blisters, a bloated abdomen, and swollen lymph nodes. Some children may even experience a fever and symptoms of fatigue and tiredness. It occurs on the face and on all four limbs. The rash is seen to spontaneously disappear within 15 to 60 days. • The lesions are from 1 to 10 mm in diameter and are flat-topped. They are mostly symmetrical but can also be asymmetrical in shape. The signs and symptoms of Gionatti Crosti Syndrome are seen to spontaneously disappear within a maximum period of 12 weeks. • A pre-existing viral infection. The effect of this viral infection is the skin rashes caused. • Sometimes, even the presence of Hepatitis B can cause Gionatti Crosti Syndrome. • In the united states, this condition is most commonly caused by Epstein Barr virus infection. • Hepatitis A and C can also cause this condition. How can Gionatti Crosti Syndrome be prevented? Since the symptoms of Gionatti Crosti Syndrome are typically associated with a viral infection or other diseases, the only way to prevent this skin condition would be to ensure that your child does not in any way encounter any type of viral infection or the diseases mentioned above. However, this might not always be possible, although it is important to be careful and try to the possible extent to prevent your child from being exposed to any of these infections and diseases. Usually, the symptoms of Gionatti Crosti Syndrome are seen to spontaneously fade out within 15 to 60 days. However, usually, the symptoms of this skin condition are due to some other type of underlying condition or disease. Thus, if your infant is showing any of the symptoms of Gionatti Crosti Syndrome for over a period of 10 days, you should show a doctor so that they can rule out the other conditions or diseases. In case it is a minor condition, the symptoms of Gionatti Crosti syndrome will disappear within 12 weeks without any treatment or medication. The symptoms of Gionatti Crosti Syndrome are typically harmless, other than slight itching and mild fever. These symptoms can be controlled using the relevant medication and lotions or creams. There are no further complications arising due to a patient having Gionatti Crosti Syndrome unless the patient is suffering from any other major underlying disease or condition. In case the patient is suffering from Hepatitis B virus, there might be some further complications. However, these complications can also be treated with proper therapy and medication. 1. Monomorphous, pink or brown flat-topped papules which can range from 1 to 10 mm in diameter. 2. 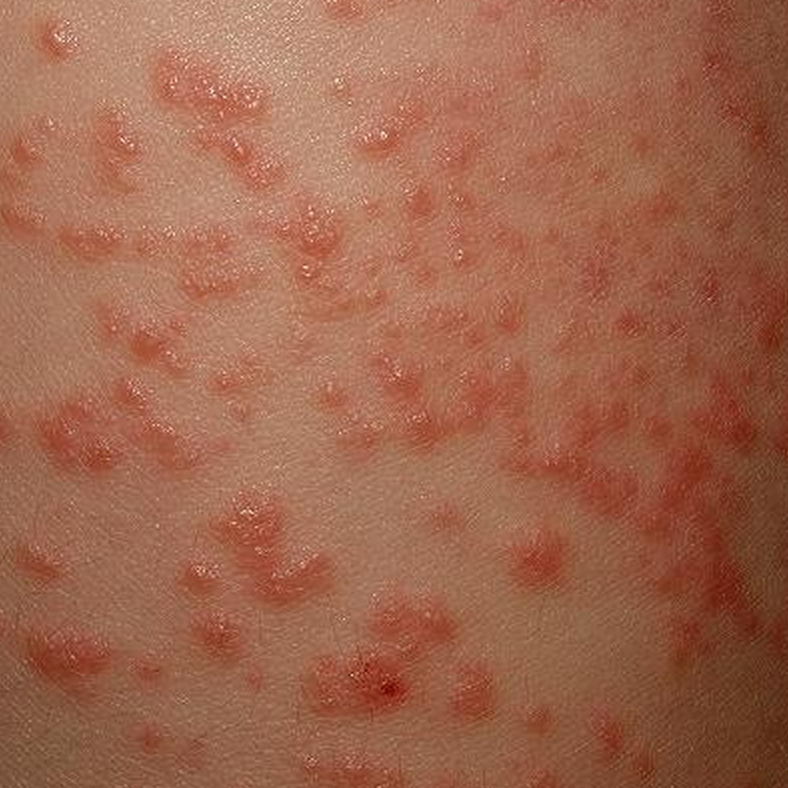 The rash occurs on the face, buttocks and the arms and legs. 3. The rashes are in a symmetrical form or shape. 4. The rashes have lasted for over 10 days. If the patient shows one or more of the positive clinical symptoms, does not exhibit any of the negative symptoms on any occasion, and none of the differential diagnosis of gionatti crosti syndrome are exhibited, the patient can be diagnosed with Gionatti Crosti Syndrome. The prognosis report for Gianotti Crosti Syndrome is very good. The lesions are seen to clear within 15 to 60 days. There are no serious long-term complications which are associated with this skin condition. However, the only underlying concern of this condition can be the Hepatitis B virus, if it is present. The only way to accurately test whether the skin condition is Gionatti Crosti syndrome or not is to take a biopsy and have it tested for the condition. However, blood tests can be conducted to rule out other diseases and conditions which might be causing the symptoms of Gionatti Crosti syndrome. As the skin condition of Gionatti Crosti syndrome is a self-limiting disorder, the treatment used for children suffering from the condition is supportive and symptomatic. Topical ointments can be used on the affected area to treat the rashes. Oral antihistamines and soothing lotions or creams may also be applied to decrease the itching symptoms of the rashes. Calamine lotion and zinc oxide are two examples of these lotions. In case of other infections, antibiotics may also be taken. Since the skin condition is self-limiting, there is no treatment for this condition. The rashes and skin condition will spontaneously fade away within 6 to 12 weeks. However, medication can be taken for symptoms of itching for the rashes. Gionatti Crosti syndrome usually goes away on its own without any further complications. However, if the child has been diagnosed with hepatitis B virus, treatment and recovery for a full liver function may take anywhere from up to 6 months to 1 year to go away completely. Treatment for this particular viral infection is followed with proper protocol. Is Gionatti Crosti syndrome contagious and how long does it stay for? Gionatti Crosti syndrome is not contagious, which means that it cannot be transferred from one person to another by physical contact. The symptoms of Gionatti Crosti syndrome usually go away within 15 to 60 days from its onset. However, if it stays for longer or there are long-term symptoms, you should consult a doctor for any other major underlying diseases or conditions. Does Gionatti Crosti syndrome cause itching? Gionatti Crosti syndrome presents with red or purple blisters all over the face, thighs, buttocks, arms, and limbs. These spots can sometimes be itchy. Does Gionatti Crosti syndrome occur in adults? No, Gionatti Crosti syndrome does not occur in adults. It only occurs in toddlers and children from the age of 6 months to 2 years.